Time to bid adieu to Chocolate and Italy Theme Week with one last interesting bar, made by an Italian bean-to-bar maker who works with some of the best cacao in the world. 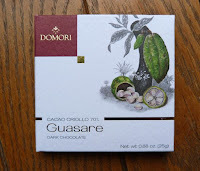 The Cacao Criollo 70% Guasare Dark Chocolate bar was from Domori (None, Italy) located outside of Turin (Torino). Company founder, Gianluca Franzoni, started looking for great cacao in South America in the early 1990s. He founded Domori in 1997 with a mission to preserve the biodiversity of fine flavor Criollo cacao. (To help further this goal, he bought a plantation in Venezuela.) 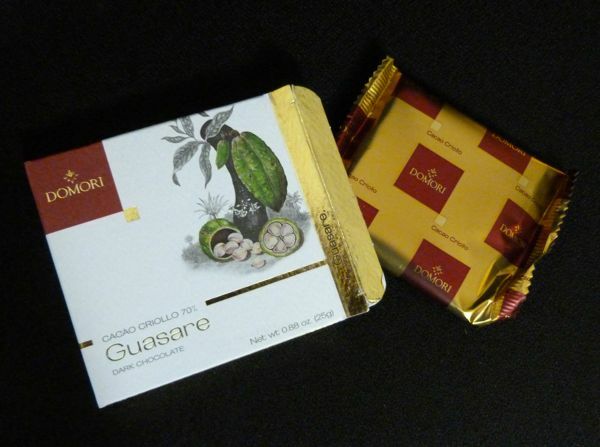 Domori offers a variety of single origin and Criollo bars and has been part of gruppo illy since 2006. 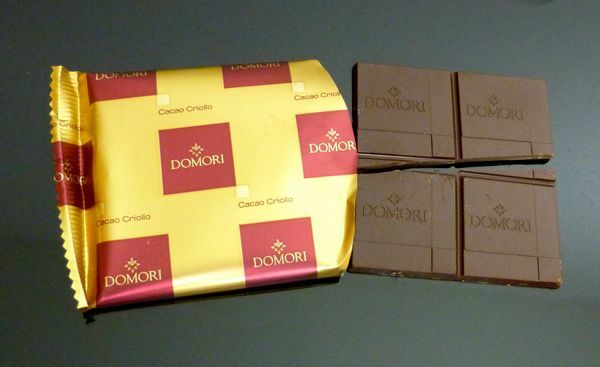 Most of Domori chocolate bars are made with Criollo or Criollo hybrid cacao beans. 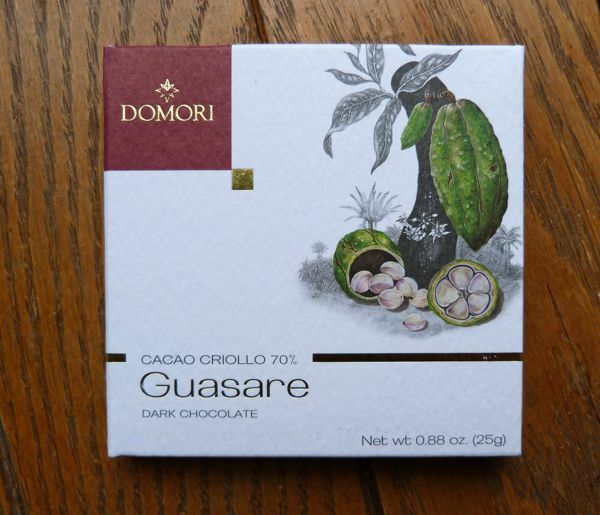 This Guasare bar was made from the "mother of all Criollo" cacao (beans), from Venezuela. Yes, origin stories are interesting, but how did this bar made from this intriguing cacao taste? "cream, fruit, sweetness..." and "floral notes, toffee, cream..."
I found the flavor to be bolder (less subtle) than I supposed it would be after reading the above reviews. The 70% bar had a mild aroma, but had a uniformly full flavor, starting with red fruit, followed by fudge, nut, sweet cream notes. The second bite had a brief exotic floral flourish to it about halfway through, followed by a slight citrus woodsiness. I'm convinced if I kept eating a bit more of this bar during the day, the flavors would just keep unfolding. However, don't count on being able to do this. This bar, weighed less than 1 oz. (28.3 g.), and disappeared quickly. Thank you to Domori and others who are helping to keep these strains of Criollo alive and well. It's a pleasure to taste bars like this. *Guasare is a type of heritage or origin cacao, (re-)discovered near the Guasare River, in the Zulia state of western Venezuela surrounding Lake Maracaibo.